Because of the increasing cost of electricity in New Zealand, the government is subsidising some of its citizens by paying their electricity bills to keep their lights on and their homes warm. New Zealand is rapidly following in the footsteps of South Australia, with its record high energy prices and blackouts. Like Australia, New Zealand has the solution to its crippling electricity prices under its feet: huge reserves of coal that could provide cheap and reliable energy for hundreds of years. Accessing these reserves and using the latest technology for burning coal cleanly could quickly solve the problem of one taxpayer having to pay another’s electricity bill. 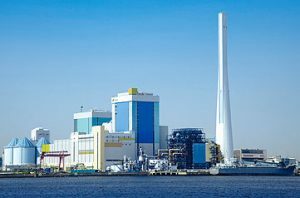 Japan is building 45 new high-efficiency thermal coal plants that burn the coal at very high temperatures and scrub almost all the emissions from the exhaust. The main byproduct is the demonized gas, carbon dioxide (CO2). Five minutes spent Googling CO2 will provide a lot of information about who should be believed about its virtues or vices, and there is definitely enough information to make a choice. The alarmists provide passionate arguments, and many very intelligent and educated sceptics have provided well-reasoned rebuttals to their arguments. Which side a person chooses to believe is likely to be governed by which argument best fits her or his politics or natural inclination to optimism or pessimism. Japan signed on to the Paris climate agreement (which lets each country set its own CO2 management plan) but subsequently has viewed its situation quite differently and has decided to build 45 new thermal coal plants. Conversely New Zealand and Australia, who ironically will be exporting much of the coal to Japan, are currently experiencing economy-destroying high electricity prices and blackouts. Both of these problems are due to the green ideology of their leaders, who have chosen to believe that the CO2 from burning coal is responsible for every adverse weather event, drought and natural disaster. Currently no political party in New Zealand would challenge this green ideology. The political courage required to debate the risks and benefits of CO2 is non-existent in all of New Zealand’s mainstream political parties. This is an opportunity for an aspiring leader. Under New Zealand’s MMP electoral system, as little as 5% of the party vote would put 6-7 members of a political party into Parliament, sufficient for a major influence on government. If a centrist party were to campaign that CO2 is not the control knob of the climate, that party would attract the votes of sceptics, deniers, and realists, who currently have no reasonable party to vote for, thereby easily achieving the 5% threshold required to have a seat at the table in government. A sceptical voice in New Zealand’s leadership is needed to provide a balance of opinions and to enable its citizens to use their country’s natural resources to lower their own electricity prices rather than exporting all of these resources to Japan! A sceptical voice in the New Zealand government would make the current subsidies for electricity unnecessary and keep the country’s energy costs competitive with those of its trading partners. You don’t have to hate fossil fuels to love the planet.